Special thanks to @davidke20 and @simonjay for the feedback. ↓ Gif for non youtube viewers. I haven't done much for this update. 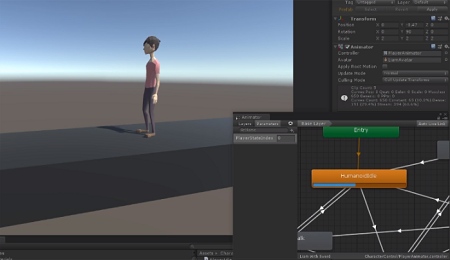 Trying out slow motion cam and minor bug fixes. And still trying hard to eat healthy. Hey @roundbeargames the slowdown was a good idea but what I like even more about it is the slight angle close up, I feel it actually improves the look of the move slightly, funny that how something unnatural make's something look more natural. I like your healthy menu, sir. You replace white rice with boiled potatoes, it's very good for maintaining your sugar levels. 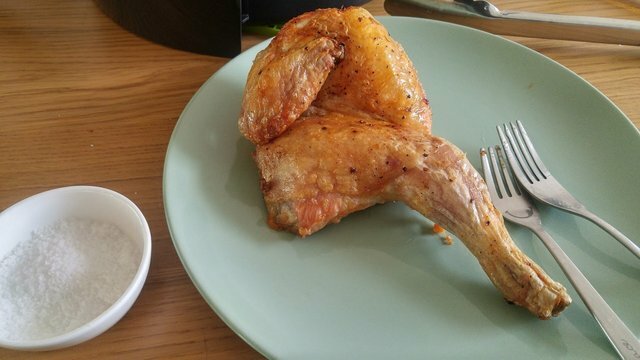 Also chicken airfryer looks very delicious. Strawberry is a fruit that is sweet and contains a lot of vitamin C, serves to facilitate your digestion. I think your diet will be success. Have a nice day, sir. thanks! i decided not to have white rice anymore because it's nearly 100% gmo. almost everything is gmo these days but i find that it's much easier to process meat. i've been feeling much better ever since i cut out sugar and refined carbs. Absolutely love it! There are more suggestion on how the character land, the camera angle, where the zoom in stops. But hey, I understand we need to get the big picture done first. We shall come back to fine tune them at the later stage. Once again, marvelous move! yes i'll have time to take care of the details later :) right now it's more of a rough draft. 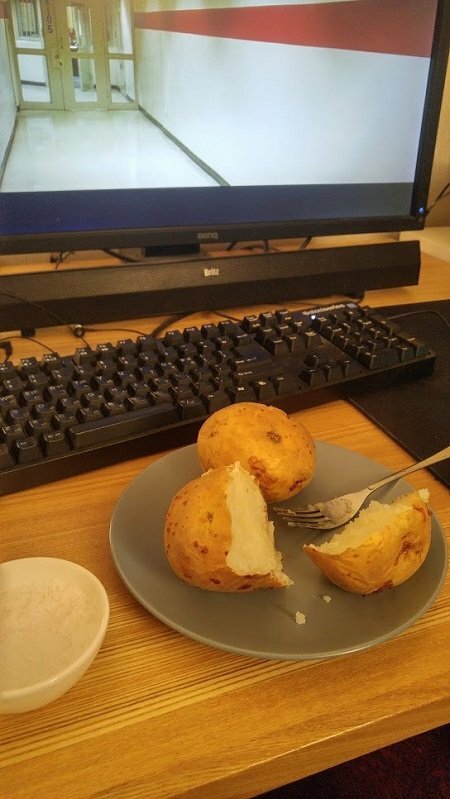 So that there hasn't been a renewal in the game, it still looks interesting, how do you eat potatoes and chicken using salt? 6000+ Fans Followers Friends Subscribers. Buenos días amigo @roundbeargames deseo que se encuentre bien , las fresas se ven muy deliciosas y con la comida le faltó lo más importante para usted que es la cervecita . Feliz día amigo. greetings to you too and have a great monday! 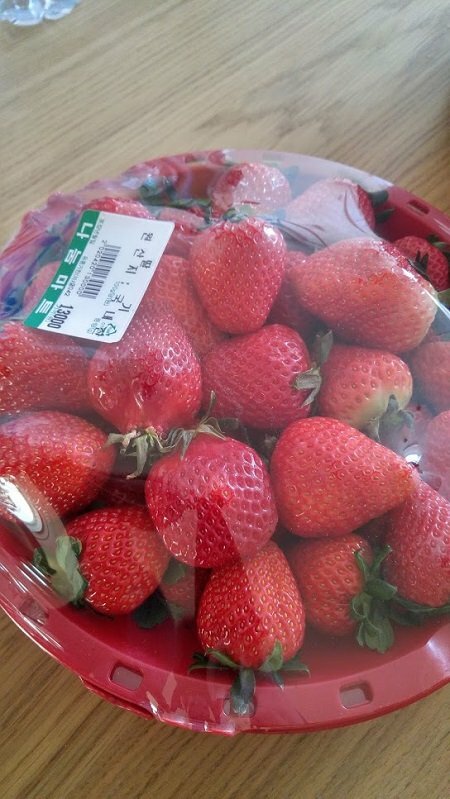 i like fresh Strawberries. its so yummy.. Thanks for share with us..
You are getting results that are appreciated quite well. Did you keep the weight despite those days of not so healthy food? unfortunately i've had too many cheat days. i should only have one every month or something.. I do like the landing punch, got style! Keep it up with the healthy food, you need it! You got more than 5500 replies. Your next target is to reach 5750 replies. 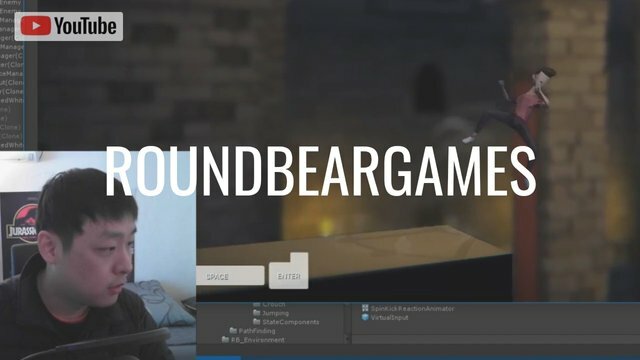 @roundbeargames, This action is really insane and i know you are putting lot of efforts to make this game really effective and productive. Keep up brother and hope that step by step you will attain the desired results. I can say that you've gave your tummy an delicious time. i think sticking to healthy and natural food is the hardest! Waw ... very fresh strawberry fruit. so want to eat. Crispy and savory fried chicken. What is the white one in the bowl? great, one person can defeat three people at once, but why are the enemies silent? I haven't done much for this update. Maybe true but in the big picture the game is moving along more than I imagined. Good to see you are eating healthy. i just had another horrible cheatday. but have a great tuesday! lol i love hulk. maybe it's always in my mind.